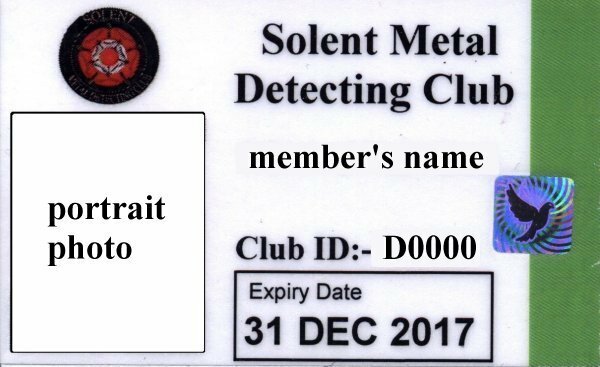 The membership card for the Solent Metal Detecting Club for 2107 is as shown below. All members of the club should have this card with them when they are on farms where the club has permission to detect. 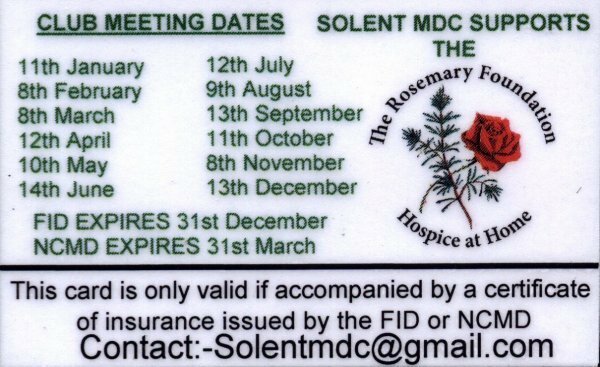 The card gives the name of the member and the club membership number. Members should also carry with them their insurance certificate from the FID or NCMD.